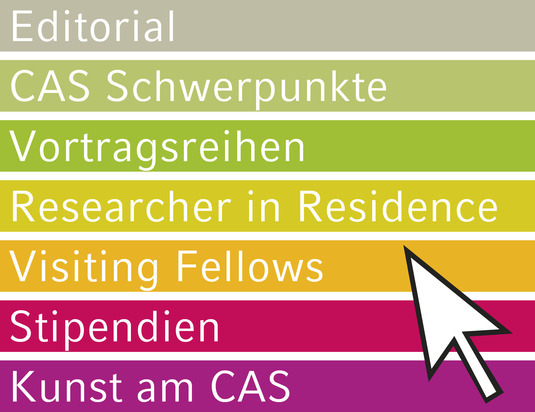 Since 2015 the CAS-Newsletter reports on current research projects, fellows and events at the center. The CAS newsletter will appear at the beginning of each semester. The issues of the former "CAS Aviso" are still available. All issues of "CAS-Aviso" are still available.